NO reservations can be accepted after 12.00 (noon) on Thursday for the following day. 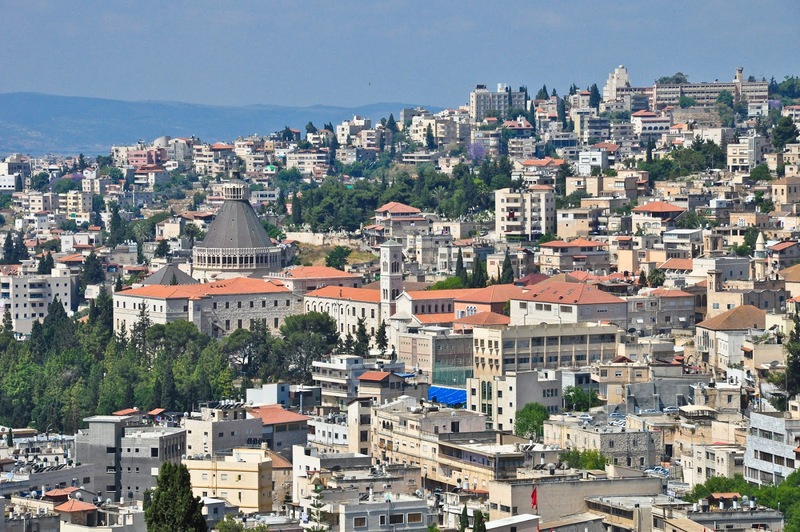 This tour will take you into the world of the Jewish residents in the West Bank, specifically the area south of Jerusalem also known by the biblical name, Judea. 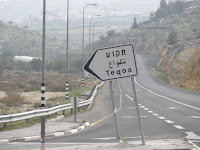 You will visit the Tekoa settlement block, part of Gush Etzion (east), just 20 minutes from downtown Jerusalem but a world apart in landscape, culture, political framework, and demographic dynamics. 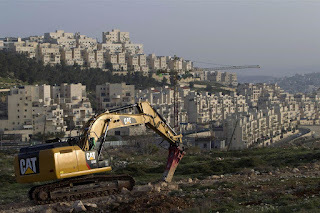 The area is part of the Occupied Territory that the Palestinian Authority requires for the new State of Palestine. 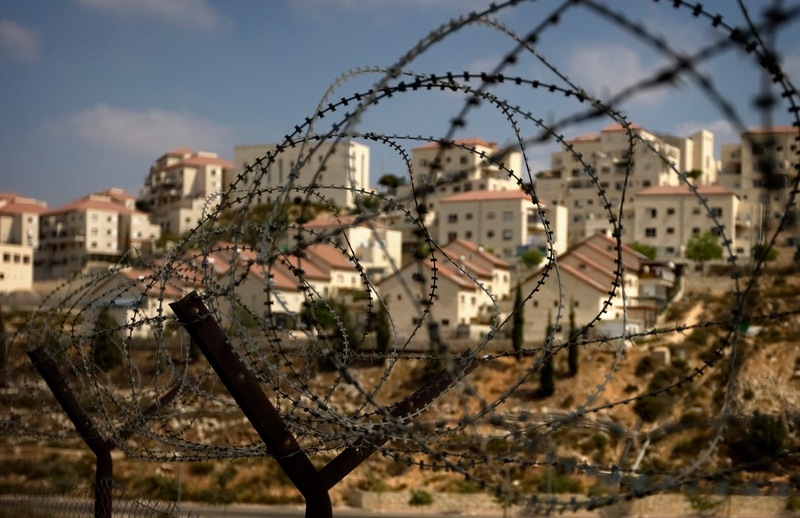 The cluster of settlements includes Tekoa, Nokdim, where Israel's foreign minister Avigdor Liberman lives, and the adjacent neighbourhood, Kfar Eldad, where your host Bruce Brill, lives. Bruce will pick you up from Jerusalem, and during the tour he'll talk about the history of the settlement, his motivation in moving there to raise his family, his views on Jewish/Arab relations and hopes for the future. You'll also visit other settlers and have a chance to chat with them. Questions are welcome, but not aggressive arguments. 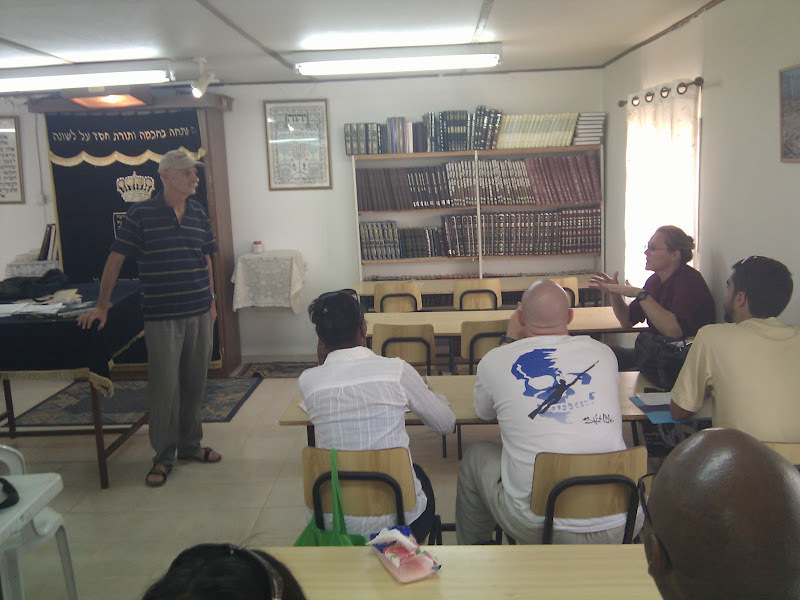 Your host, Bruce Brill (left), with a visiting group in the Kfar Eldad Synagog. The area is home to a wide variety of Jewish residents. Some came for the cheap housing, beautiful landscape and proximity to Jerusalem. Others were ideologically motivated through their belief in the biblical and holy mandate to settle the land. Some of the original founders were descendants of the Jews who settled the area during the early 20th Century under the British Mandate, and were driven out or killed by Arab forces in 1936, and again in 1947. 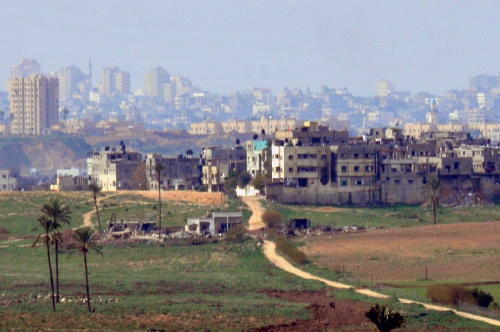 Settlement of the area started very quickly after the Israeli victory in 1967 when it conquered the West Bank from the Jordanians. There are secular residents and devout religious people living in the settlement block, all committed to the tenets of Zionism, some more extreme than others. Bruce will give you a good overview during your visit. Please be mindful that you will be a guest of the community, and although you may object to some of the political views presented, be respectful and look on it as a learning experience. 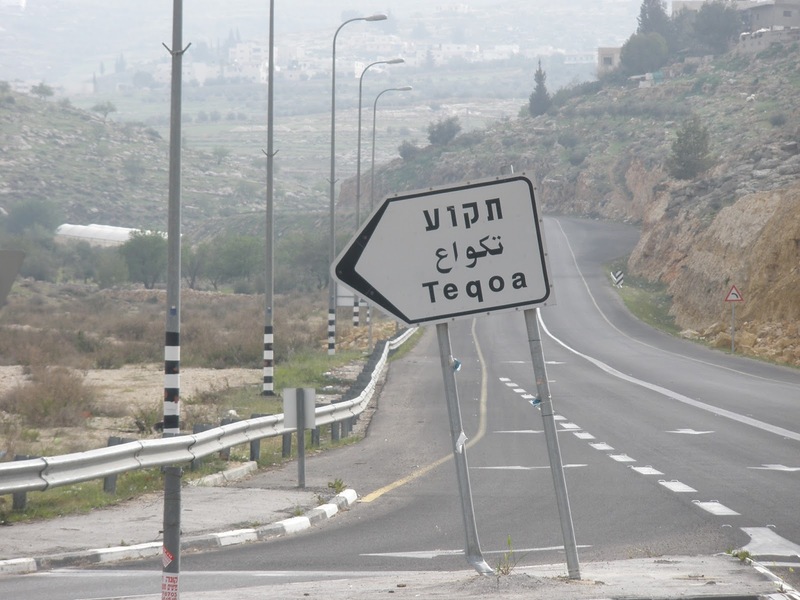 Tekoa is mentioned in the Old Testament (Tanach) books of Samuel and Amos. The modern community was established in 1977 and is home to about 1,600 people. Today's chief Rabbi of Tekoa, Manachem Froman, is very active in ecumenical dialog and holds discussions with Palestinian religious leaders across a wide spectrum. 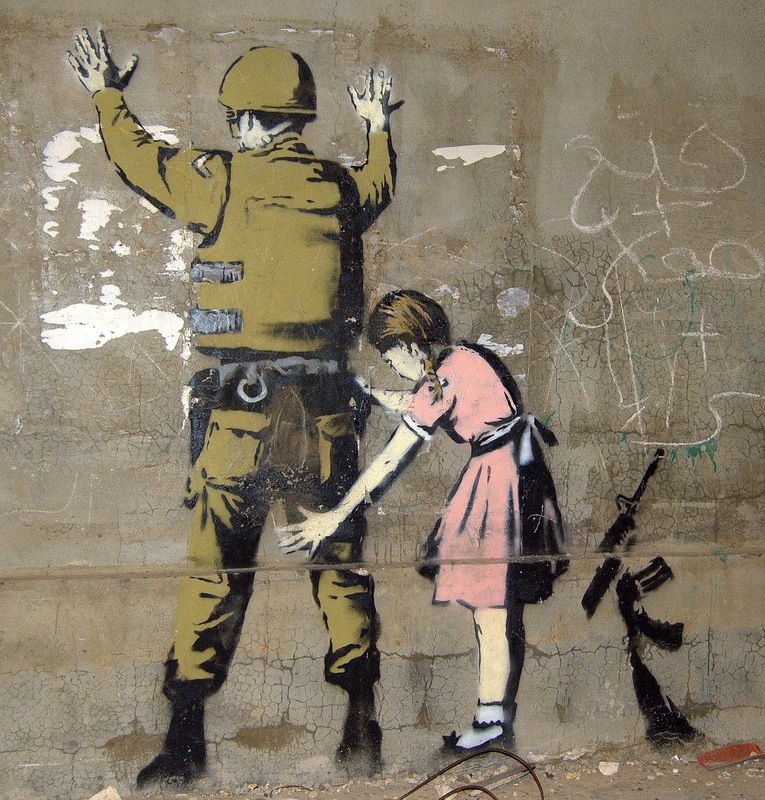 is an outpost about 500 meters north of Nokdim and houses an institute for troubled youth. About 40 young people and several staff members are in residence. is an outpost approximately 650 meters south-east of Nokdim and was established in 2002. It houses only a handful of families and singles.